While Brexit uncertainties caused the Pound (GBP) to tumble against many major currencies over the past week, the Pound Sterling to New Zealand Dollar (GBP/NZD) exchange rate has been able to sustain some gains due to weakness in the New Zealand Dollar (NZD). 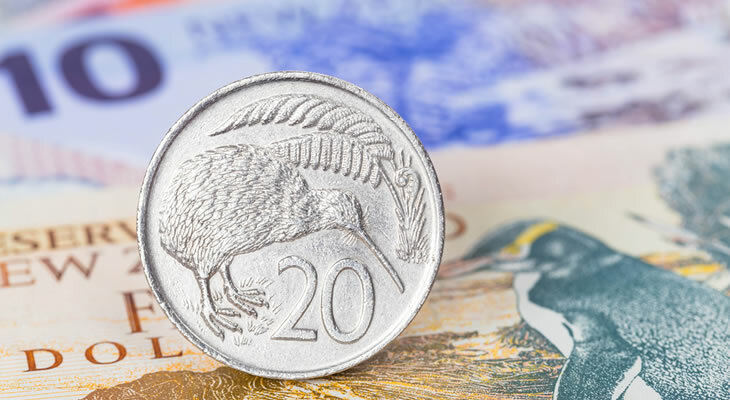 Since opening this week at the level of 1.9362, GBP/NZD has largely trended above the week’s opening levels as Reserve Bank of New Zealand Dollar (RBNZ) interest rate cut bets keep the ‘Kiwi’ under pressure. After briefly touching on a high of 1.9438 yesterday though, GBP/NZD has slipped back slightly as the New Zealand Dollar is bought back from its lows. At the time of writing on Friday, GBP/NZD trends closer to the level of 1.9385. Still, this puts GBP/NZD just a cent below the 2019 high of 1.9493 seen towards the end of March. Amid continued signs that the Brexit process is having a negative impact on UK economic activity, as well as news that the Brexit process had been delayed for an additional six months, the Pound was unappealing over the past week. While markets were indeed relieved that a no-deal Brexit had been avoided until at least the 31st of October, a long Brexit delay had already been widely expected by investors. Instead of the Pound seeing a relief rally, unsurprised investors instead remained concerned about what is expected to be more and more months of Brexit uncertainty clouding Britain’s economic outlook. Businesses and politicians are urging the government and Parliament to reach an agreed solution to the Brexit process as soon as possible, to remove the significant uncertainty dominating Britain’s economic outlook. Due to broad Brexit uncertainty and doubts that Brexit will be resolved any time soon, the Pound was limp. Most of this week’s GBP/NZD gains were instead due to New Zealand Dollar weakness. The past week’s New Zealand data has been fairly low influence, but generally underwhelming. Published on Thursday, New Zealand’s March food inflation report slowed to 1.2%. Friday’s New Zealand business PMI fell to just 51.9, rather than climbing to 54.4 as expected. As a result, markets remained concerned that the Reserve Bank of New Zealand (RBNZ) was likely to cut New Zealand interest rates at some point in the near future. RBNZ interest rate cut bets have been the primary cause of New Zealand Dollar weakness in recent weeks. Investors are hesitant to buy the risky trade-correlated currency due to speculation that a rate cut could happen sooner rather than later. While riskier currencies found support on US-China trade hopes and stronger Chinese data over the past week, investors preferred other currencies like the Australian Dollar (AUD) and Canadian Dollar (CAD) over the unappealing New Zealand Dollar. As UK Parliament breathes a sigh of relief at no-deal Brexit being avoided and breaks for Easter recess, the Pound to New Zealand Dollar (GBP/NZD) exchange rate is more likely to be influenced by data and risk-sentiment than Brexit news next week. Brexit uncertainty means investors will be looking for signs of UK economic resilience, so the Pound will be more appealing if Tuesday’s job market data, Wednesday’s inflation data or Thursday’s retail sales stats impress investors. The New Zealand Dollar, on the other hand, may remain unappealing on Reserve Bank of New Zealand (RBNZ) interest rate cut bets unless it find support in upcoming New Zealand data. New Zealand inflation figures will come in on Wednesday, and if they beat expectations RBNZ interest rate cut bets could lighten. Analysts don’t expect there to be any Brexit developments with Parliament on break, though any surprising comments from officials regarding negotiations between the government and the opposition Labour Party could influence Sterling as well. Overall, Pound to New Zealand Dollar (GBP/NZD) exchange rate movement will be influenced by data but surprising political news could also inspire shifts. Next ArticlePound US Dollar Exchange Rate News: GBP/USD Accelerates, Are the US and China Close to a Trade Deal?